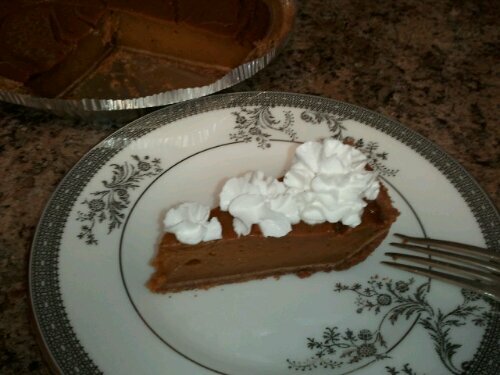 My Perfect Pumpkin Pie recipe! PS – I also tried out my theory of eating it warm and custardy and it was delicious. I ate it the first “slice” after it had cooled on the counter for about an hour. The house smelled so good, it was hard to resist. It won’t really firm up until it’s fully cooled in the fridge though!